The SOL Foundation congratulates The Naz Foundation (India) Trust who has been honoured with the Business Standard Social Enterprise of the Year 2018 Award for building a cadre of young leaders through sports under the Young People’s Initiative (YPI). 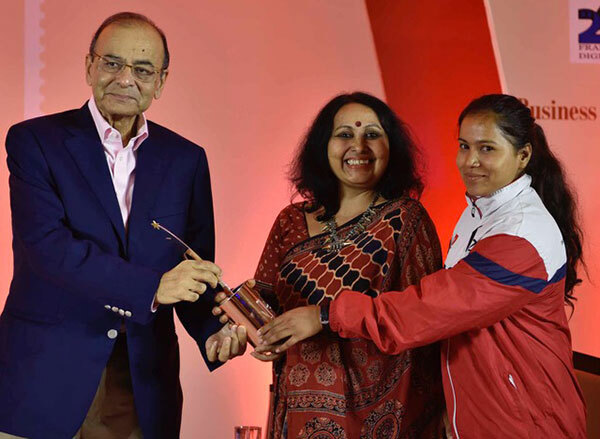 The Finance Minister of India Mr Arun Jaitley handing over the award to Kalyani Subramanyam, Programme Director at Naz and one of the team members. Naz has been able to empower more than 90’000 adolescents since the launch of their programmes.